3 Bed Bungalow Bungalow Residence on c. 1st acre A charming Bungalow Residence well located in a quiet rural situation yet within 5 minutes drive of Tipperary Town. The residence is in good condition throughout and the large site provides ample amenity space. Viewing is strongly recommended. 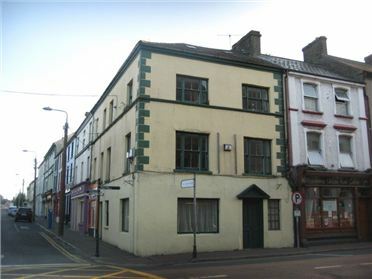 5 Bed For Sale or To Let 7 Day Residential Licensed Premises Long estabilished licensed property with development potential to develop restaurant or off licence in shop unit. Vaughans is well managed and maintained with good on-street parking available for passing trade. Viewing is strongly recommended by appointment with Auctioneers. 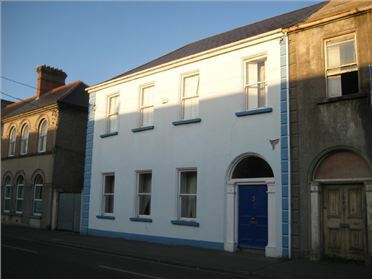 5 Bed Semi-Detached House Magnificent Town House A superior centrally located residence presented in very good condition. The five bedroomed residence which extends to c.325 m2 is within walking distance of all amenities and is equally suited to family home or conversion to other use subject to planning permission. Viewing is strongly recommended.